Drupal is an open source CMS system, this is one of the most popular CMS systems in the world, preferred over countless others systems due to its scalability and easy customization capabilities. Pulse Solutions has been working with Drupal Development for a little over 12 years, we have created several solutions for clients who need easy customization for websites that have pages in the thousands. Drupal Development is an easy choice for web systems that need flexibility with scalability, as the graphics are completely separate from the code the system is split into 2 distinct manageable portions, the graphics/ formatting and the code. This architecture means you could “reskin” or redesign your website in minutes. Pulse offers services for Drupal Theme designing, Drupal systems deployment, Drupal training and Custom Drupal Development. Drupal Theme Designing: Pulse design team has produced some of the most usable and aesthetically appealing web sites in the world. We have in-depth knowledge about Drupal themes and our designs can built stunning web presentations for your products and services in a format that can be imported into a standard Drupal system. Drupal Systems Deployment: Pulse engineers have created several successful Drupal installations, we have complete understanding of Drupal deployment process and we can take the uncertainties out of the hosting process for you. 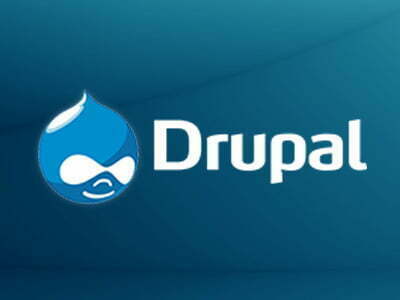 Either you purchase an off the shelf Drupal Theme or have our design team create one for you we can deploy it into a successful Drupal website that you can fully manage on your own. Drupal CMS Training: Drupal offers a lot of power and this needs a certain amount of initiation, we offer customized training programs for clients to train their staff on how to efficiently maintain their Drupal systems. Training for Drupal is basically a telephonic tour of what you can accomplish using the inbuilt Drupal CMS tools to build new pages, menus, navigation, write content, make content types, links, upload documents/images/videos and more. Custom Drupal Development: Extending the standard Drupal system is easy as the designers have created the software from ground up to be completely customizable. Drupal API offers a rich set of tools to customize Drupal without changing the core so as to make future upgrades seamless. Pulse Solutions can create custom Drupal modules that seamlessly integrate with Drupal systems to extend the software to achieve specific business objectives. We have expertise in building integration modules with external software, Ecommerce shopping cart systems, Custom work flow applications and business automation modules that work with Drupal. If you need advanced Drupal designing or Drupal programming contact us for a professional and reasonably priced solution.